Instagram is the social media platform number one right now and a strong marketing tool for startup brands. If you want to stand out and attract customers, you need to think about your unique style and content. Large follower numbers and high engagement rates show that this Instagram account is interesting and important to brand’s audience. The higher your engagement rate is, the more traffic you can drive from your Instagram page to your other social media channels, making it a top platform for growing startups. It’s one of the most useful platforms to grow your company, whether it’s a small one as we are at the @startupcreator or a big one as @wework for example. You can optimize your social media posts with photos and videos to create your own style and present your brand to the world. But in order to grow, your startup needs to stand out. Hashtags are very important when it comes to Instagram. Pictures and videos with hashtags in their descriptions get more likes, views and comments than those that don’t. So think about creating your own hashtag and encourage fans to use it when they post their own pictures. It might be your brand’s slogan, a call to action or just a simple phrase. It will help to promote your brand, stay in touch with your followers, create your collection of content – which is relevant to your business – and simply will make your company image look more unique and special. It’s an amazing free marketing tool to share content on additional Instagram feeds. It will help you to engage and connect with other brands on social media as well. Show your creativity through the style of your Instagram posts, stories and highlights. It might be everything that you can possibly imagine: the format of your photos, colour choice, unique ‘Highlights’ icons, or creative video effects that you can also use for your Instagram Stories. It’s great to choose a color scheme and theme for your Instagram content, so your feed will look harmonical and organized. Depending on the services or products that you provide, you can represent them with GIFs that will add a little animation touch to your post. Add music or unique background with Instagram stories tools and don’t forget about the right fonts. 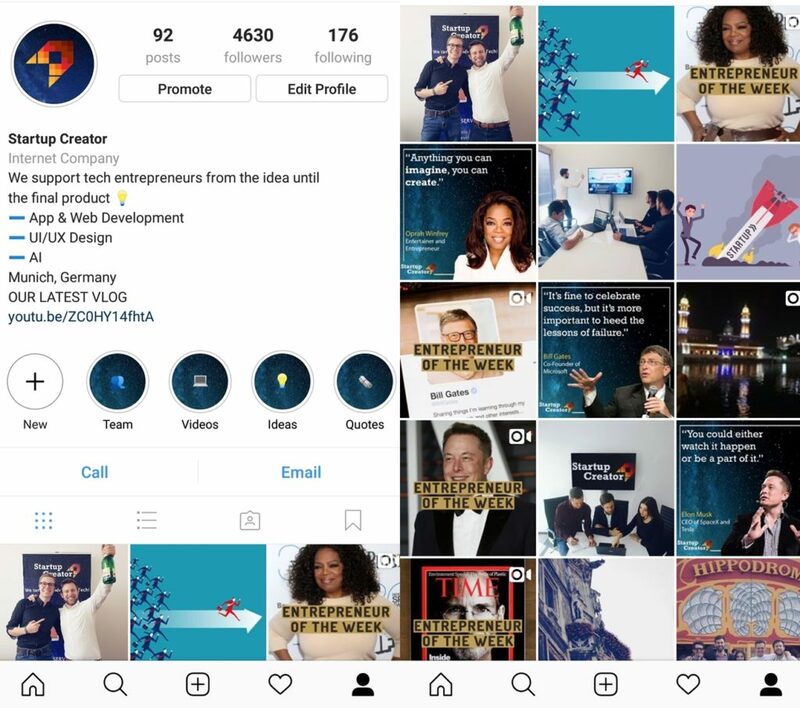 Instagram added a lot of new features in Stories that will help you create outstanding content and attract more followers to your page. Instagram is not only about gaining followers and likes. It’s also about telling the story of your brand and creating a small window into what your startup is about. One way to do it is to show your behind the scenes moments. Videos are becoming even more and more popular on Instagram and it’s an amazing opportunity for you to share some special moments within your company. It might be the process of creating a product, a sneak peek of the new campaign’s shooting set, a meeting with one of the customers, or just having fun with the team. 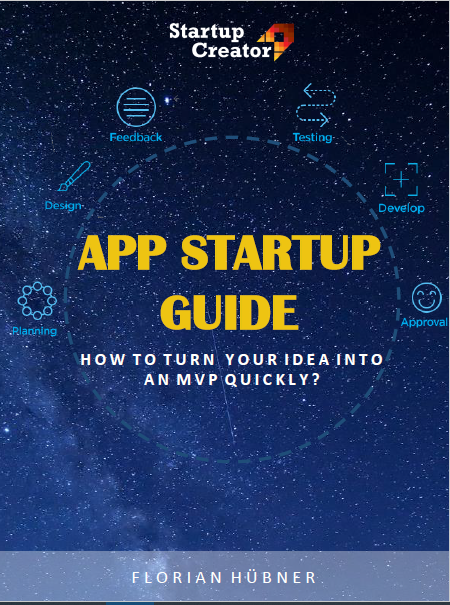 It will help your followers and visitors to get to know your startup a little bit more and create a strong connection for the future. Here it really depends on your company. Do you provide products or services? If you provide products, Instagram is an amazing platform to share them and boost your sales. Besides products themselves, you can share photos of your happy customers, seasonal events and discounts, giveaways, and much more. If you provide services, think about how you can incorporate a physical product to promote your services. It might be a book for example. Just remember that not all of your creative Instagram techniques should remain within the platform. Think outside of the box and your comfort zone, be creative and innovative. 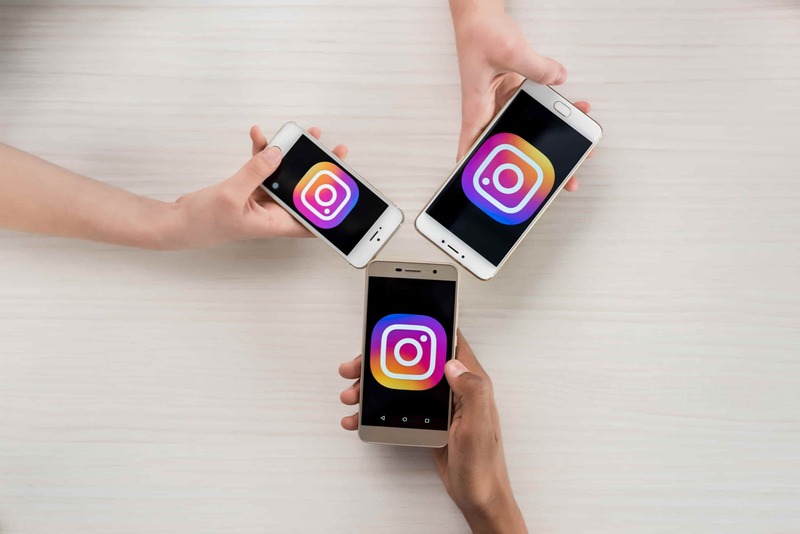 When you already have a base on your Instagram page, run a Live Video where you can connect with your followers, answer their questions or ask them something that will help you build a connection. Share the news about your new products or services, new team members or any exciting changes that are happening at the moment. You can discuss some future plans or ask their opinion about certain topic, product or service. Your followers can see you live and feel the spirit behind the brand, see people who are the core of the company and who are working hard to provide them the best products or services. In the times of social media, where it is easy to create a fake online image, people like to see real raw material and to be a part of it. Did we miss something? Do you have an amazing, creative idea? Let us know and share yours in the comments below. I read something about the news section. That you could see what was the most used hashtag and then you could relate to it.